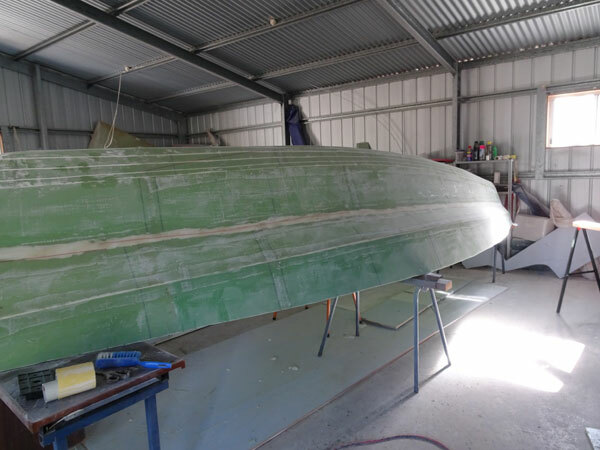 The original Scarab 16 plans called for the boat to be built in foam sandwich or plywood with a cabin and pivoting centreboards in the floats. 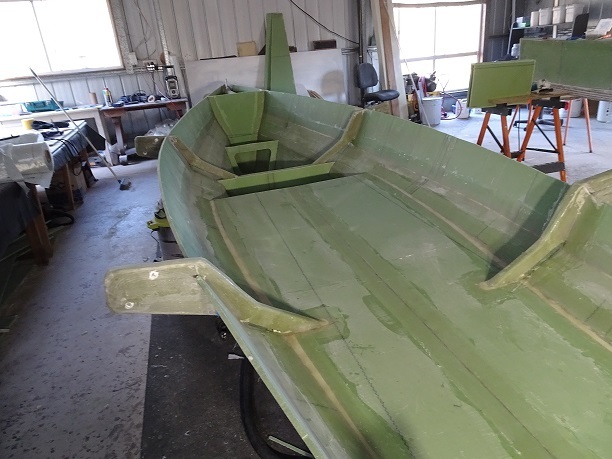 This boat will have a few modifications to the original boat. An open cockpit with small deck. This will make the cockpit longer to allow the crew to move further forward to trim the boat. 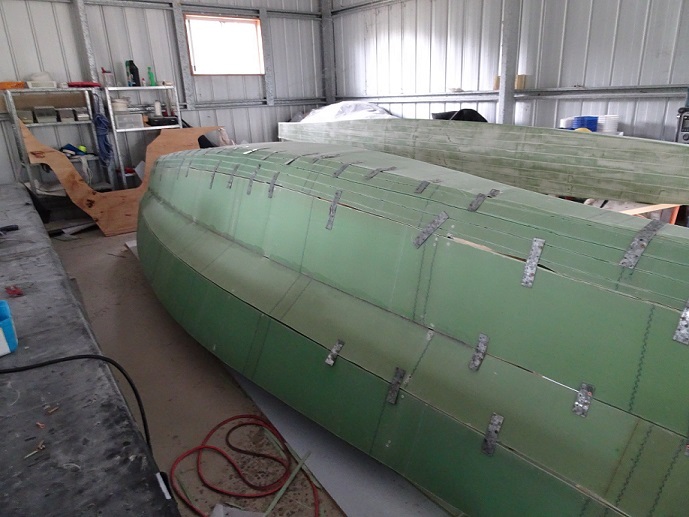 The bilge is rounded on the main hull and floats. The mast is mounted on the floor of the cockpit which will simpify rigging the boat without any major lifting. 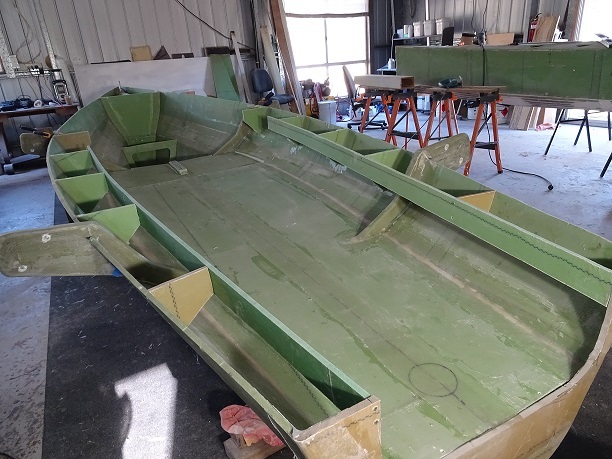 The folding system and beams will be similar to the Scarab 18 or Scarab 650 with the beams bolted onto the deck of the floats.